Baking powder and baking soda are both used in baking, but they are not interchangeable. You can kinda substitute one for the another, but it is not recommended. Sally's Baking Addiction has a great blog post about both baking powder and baking soda. Baking soda is strong. In fact, it is about 3-4x stronger than baking powder. More baking soda in a recipe doesn’t necessarily mean more lift. You want to use *just enough* to react with the amount of acid in the recipe. Too much baking soda and not enough acid means there will be leftover baking soda in the recipe. 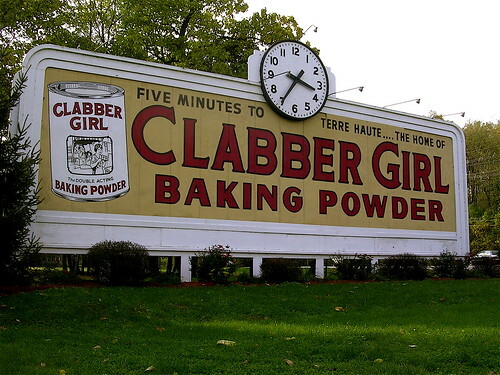 Just as Arm and Hammer is the popular brand for baking soda, Clabber Girl is the popular brand for baking powder. Clabber Girl just announced a PHOS-free version of their baking powder. PHOS-free means phosphate free. PHOS-Free was developed as a quick and easy ingredient exchange for food manufacturers and commercial bakers concerned with answering growing consumer demand for products made from ingredients which do not contain artificial preservatives, sweeteners, colors, and flavors. PHOS-Free fulfills this demand by providing producers with a high-quality commercial leavening product, which is free from both phosphates and aluminum compounds. Good on Clabber Girl for innovating and taking out artificial preservatives.